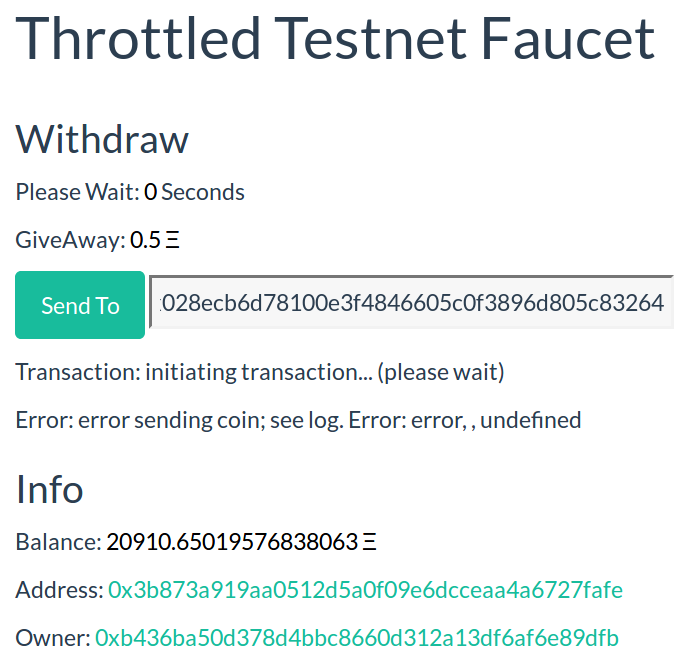 I usually get ether for Ropsten Tesnet at http://faucet.ropsten.be:3001/, now the site seems to be offline. My question is what happened to the site, but more important, now how can I get ether for ropsten testnet? Just add a message with your Ropsten Testnet ETH address in The NEW If you need some Ropsten Testnet Ethers ... and you will get ETH within a few hours. 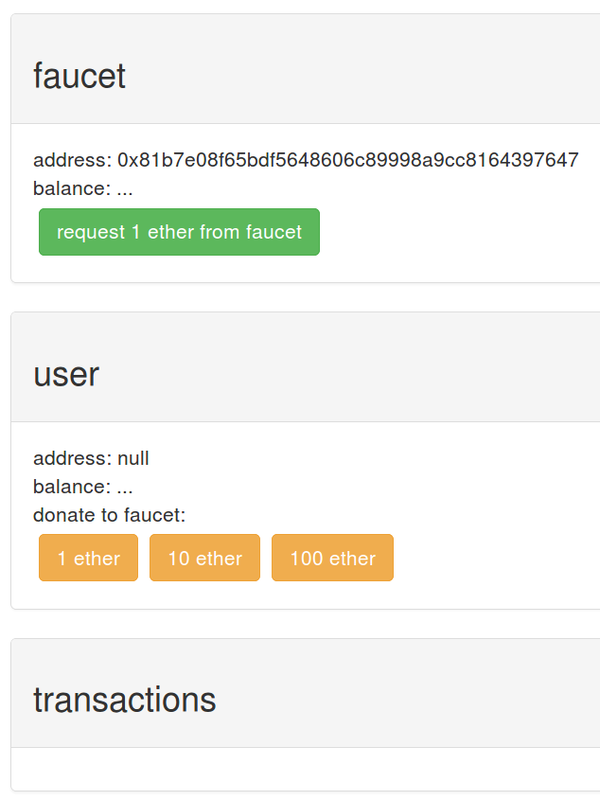 Check out the Metamask faucet at https://faucet.metamask.io, always works for me. Not the answer you're looking for? Browse other questions tagged testnets ropsten faucets ropsten-revival or ask your own question. How long should mining take on the testnet? What is faster the main network or Ropsten? Why Ropsten etherscan and local Ropsten are not showing the same data?